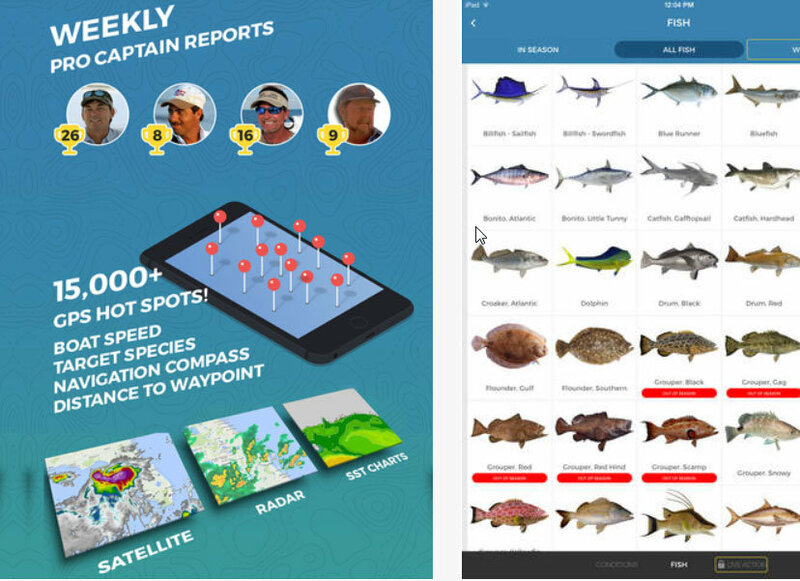 Pro Angler: Finally, a Decent Fishing App? Surprisingly, the Pro Angler App has a lot to offer. When the folks from Pro Angler asked me to look at their new app, I wasn’t exactly excited. It may be different for some anglers (younger ones that I, I’m guessing), but when it comes to fishing about the last thing in the world I want to do is use an app. Plus, in my experience, the vast majority of the fishing apps out there basically stink. But personal opinion be danged, as a journalist I have to force myself to look at this sort of thing now and again. Shocker: in this case, I’m actually glad I did. When I looked at Pro Angler the first thing I noticed was the Pro Captain weekly fishing reports. Now, I always take “commercial” fishing reports with a grain of salt. But the number one picture I saw on-screen was that of Capt. Ray Rosher, of Miss Britt Charters from south Florida. In case you haven’t heard of him before, Capt. Ray is the real deal. So then I went to the Texas area reports, which are broken down into upper, middle, and lower Gulf regions. These are mostly TPWD reports, which we can get anywhere, so one would hope to see them expand in the future. Fortunately, there were some other aspects of the app I really liked. The Fish Directory has good pictures of a zillion and one species (okay, so it’s really 350), which will come in handy for ID’ing mystery fish. There are solunar tables, marine weather forecasts and radar weather, tide tables, listings for fisheries regulations, and a huge number of hotspots with GPS coordinates. Sure, if they’re public knowledge these hotspots aren’t likely to be ground-breaking discoveries, but it’s always nice to have good coordinates as a starting point, especially when fishing unfamiliar waters. There are also sections on angling techniques, gear advice, and bait & lure rigging. When all is said and done, while Pro Angler isn’t perfect, it is a whole lot better than the fishing apps I’ve seen previously—and according to the folks at Pro Angler, it’s also the #1 ranked fishing app. If you’re hip to going digital as you cast, check this one out.